In Ljutumer, the school OŠ Ivana Cankarja Ljutome played the Traffic Snake Game. The Municipality of Ljutomer is one of the few municipalities in Slovenia who have already prepared its Sustainable Urban Mobility Plan (called S.U.M.P.). It is also the only small municipality in Slovenia with a S.U.M.P. Next to organising the campaign, the city also invests a lot in safe infrastructure around the schools. With this new infrastructure the municipality tries to encourage parents to park their cars in city car parks and by doing so, decrease the burden on the street, increase the safety of children and also get some exercise themselves when they accompany their children to the school. The modernisation of the safe-routes-to-school project is financed by Municipality of Ljutomer which besides infrastructure projects also fosters and supports soft measures like the Traffic Snake Game campaign. 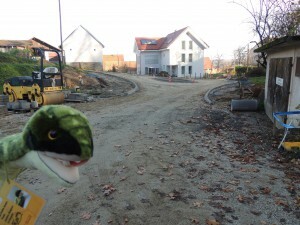 Here you can find two pictures of the new school infrastructure project in Ljutomer. 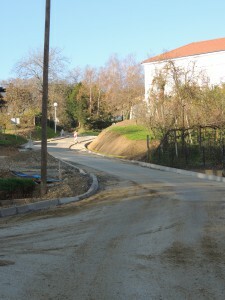 On this street a new footpath for pupils is being built so they can access their school safely. 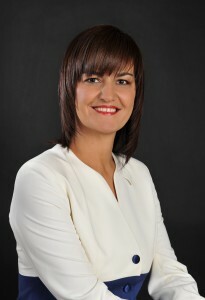 The Mayor of the Municipality of Ljutomer, Olga Karba, M.Sc. walks to her workplace and by doing that, she gives a good example to other municipality staff. The municipality donates scooters and bicycles to all kindergartens in the municipality and promotes the use of sustainable transport modes among the youngest. The municipality also managed to prepare a mobility strategy for its staff who have limited parking area in front of the municipality building and committed themselves to commute to work in a sustainable way. Every year in May the municipality organises a Mobility Day. Conclusion: an inspirational policy. We hope the Traffic Snake Game will help them to achieve their goals towards more sustainable trips in their municipality.